I typically don’t do much decorating for Christmas because I am lazy about taking everything down once the New Year hits, but this year I felt the need to add a bit of cheer around the house, especially now that my baby boy is bigger. However, I didn’t add much and opted to keep it pretty simple. 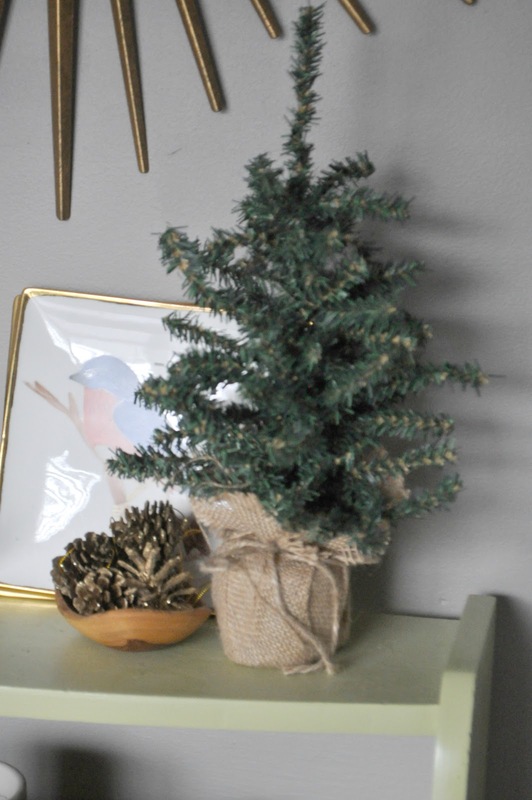 I wanted to show my fellow minimalists how I added cheer in a simple, yet festive, and inexpensive way. 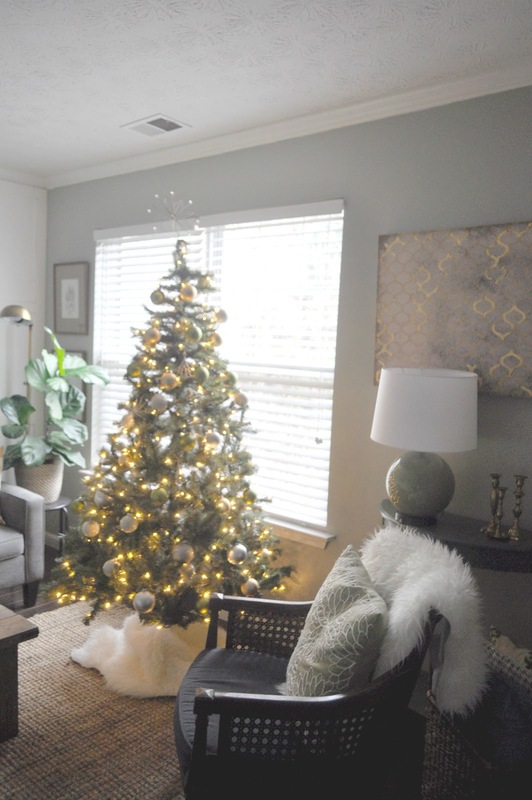 My tree is a faux pre-lit tree that I purchased from The Home Depot for $50. I added various ornaments from both Dollar Tree and other discount stores. I know many people opt to have real trees vs. faux, but something about the smell of pine needles make be a bit nauseous. Very weird I know! I stuck with using gold, silver, green, and white as my ornament colors. 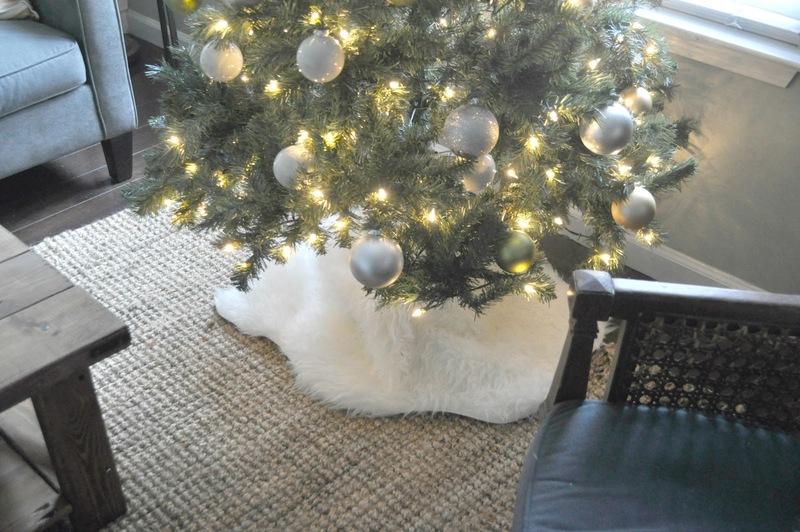 I used the Ikea faux sheepskin rug as my tree skirt. Tree skirts are expensive, so this was a nice alternative. 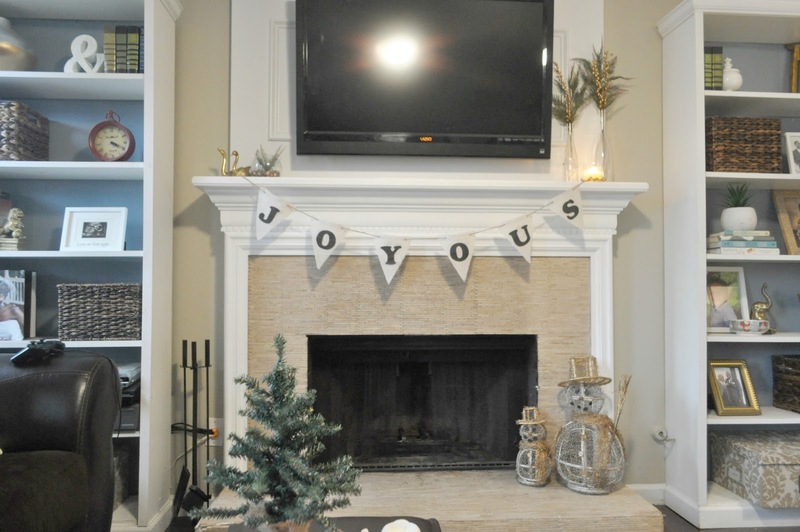 My family room got a few pops of cheer using my DIY transitional mantle banner, along with some thrifted glass bottles. faux pine clippings, and my thrifted snowman duo. In the living room, I added a few touches as well. 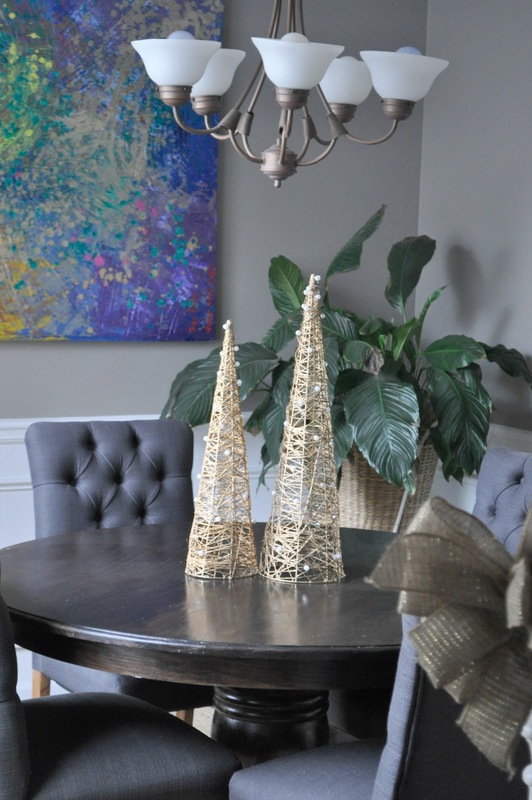 The gold trees are from Goodwill and the faux tree is from the Target Dollar Spot. 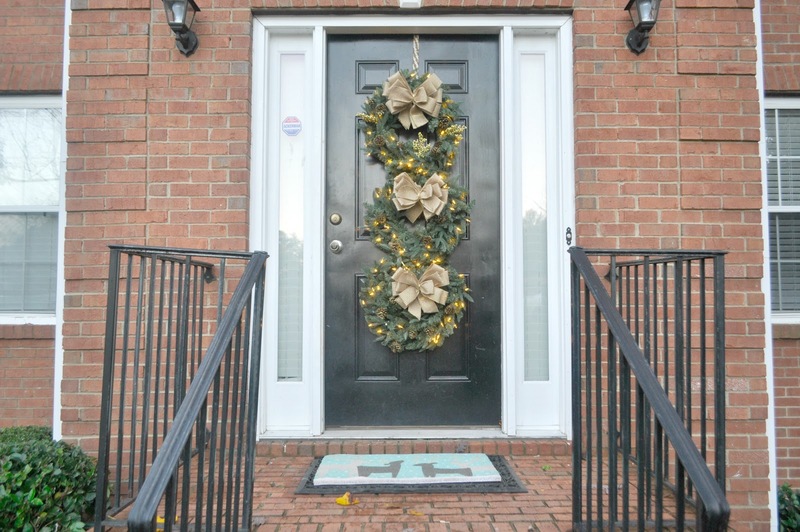 And of course, my front door has my wreath trio! 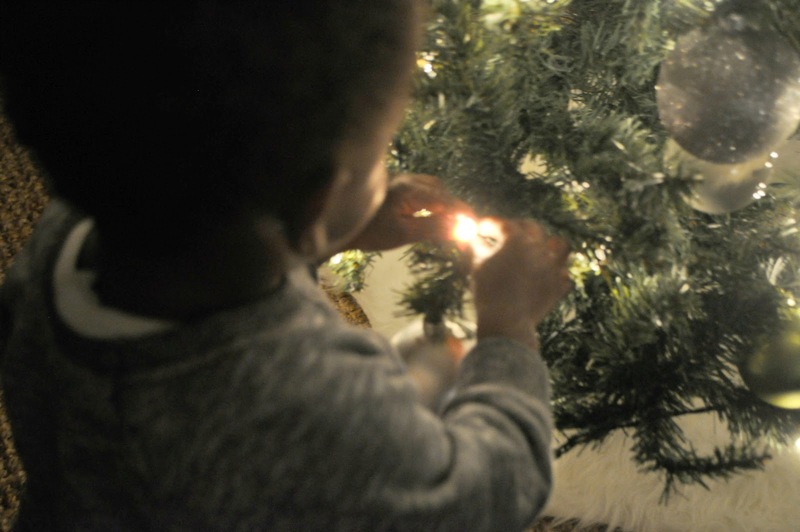 My little one is obsessed with the evening glow of the tree:) It’s the sweetest thing ever. Although I don’t have a bunch of decor, it suits our needs and we love it. I feel like I added just the right amount for my families’ needs. So what about you? 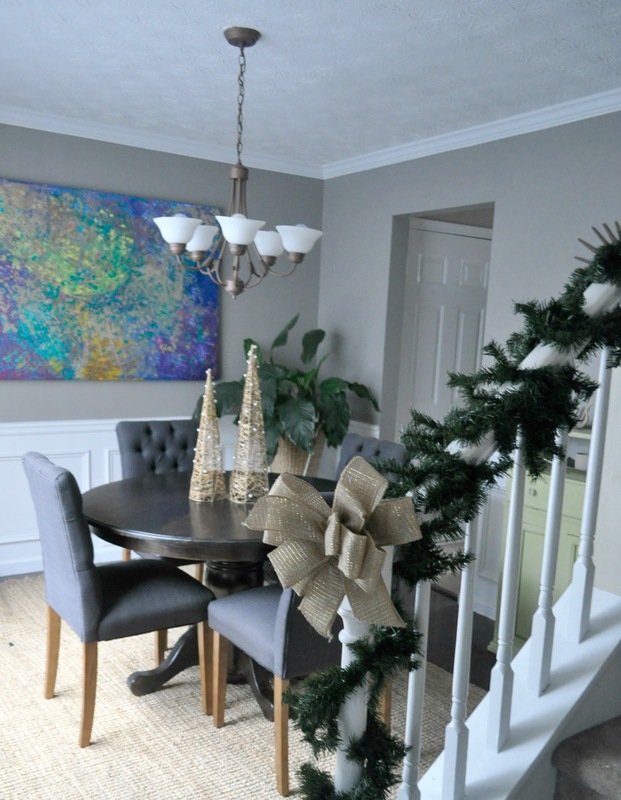 Are you more of a minimalist with your Holiday decor? Or do you go all out? Are you team faux or team real tree? Do share. I love to hear from you guys. I love your simple touches! Im the same, I hate taking all that stuff down! If it wasnt for my child, there would be no tree! lol Great job!